After graduating from the University of Chicago, Daniel attended the University of Virginia School of Law where he served as president of the law school's National Trial Advocacy Team. During his time at UVa law, Daniel was the Head Coach of the University of Virginia mock trial program. He served as a chambers intern for the Honorable Dennis G. Jacobs for the United States Court of Appeals for the Second Circuit and as a Student Assistant Prosecutor in the Office of the Commonwealth's Attorney in Virginia. In addition, Mr. Shapiro also taught trial advocacy to undergraduate students for over seven years and was also head coach of Columbia University's mock trial team. 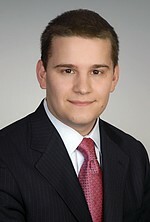 He is currently an associate at Stillman, Friedman & Shechtman in New York, NY.